& from Scotland including Croxby. The eleventh studio album by the American group, released on the 16th May 1966, this was initially met with a lukewarm critical and commercial reception in the United States, but received immediate success abroad. Now regarded as one of the most influential pieces in the history of popular music along side The Beatles Sgt. Pepper's Lonely Hearts Club Band (released in 1967). 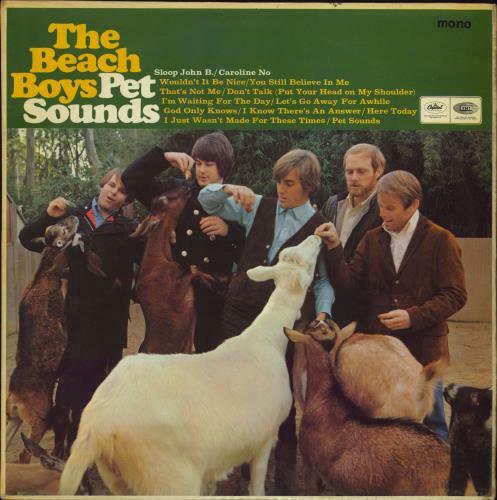 Product Information The Beach Boys Pet Sounds - 1st - VG+ UK vinyl LP album (LP record).